Kathy Buckworth is an award winning writer, spokesperson, content creator and media personality. She is the author of six books, including “I Am So The Boss of You: An 8 Step Guide to Giving Your Family The Business” (Random House). Her books have been translated into Chinese, Indonesian and other languages, and are available on Audible.com and wherever books are sold. 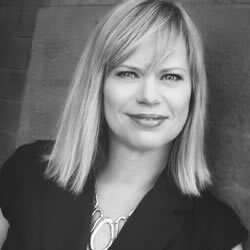 She is a columnist with Post City Magazines and contributes to the Metro News, Today's Bride, the Huffington Post, ParentsCanada, and other publications and websites. She is a regular guest expert on Global Morning, CBC Radio and she has a monthly travel segment (Get, Set, Go!) on CHCH TV's Morning Live. She travels across Canada regularly as Swerve Promotions key spokesperson for both baby and toy products, delivering segments on morning and noon television programs. She has acted as spokesperson for a variety of high profile companies including PCF Financial, Alcon, TransUnion, Graco, Kijiji and other brands. "Kathy is a pleasure to work with - professional, witty and dedicated. We could not have found a better fit for our campaign, and would not hesitate to engage her again or recommend her for similar work." Optimum Communications.